Palma de Mallorca is the capital of the island of Mallorca and of the autonomous community of the Balearic Islands. Mallorca is a typical Mediterranean island, with warm summers and a mild climate in winter, so it is the perfect place to rent a holiday apartment. This island is surrounded by crystalline waters, but it also has a dense vegetation, full of pines and typical trees of the Mediterranean forest. Palma de Mallorca offers the tranquility that tourists look for in their vacation, as well as a great leisure, nautical and nightlife offer with tons of fun activities. 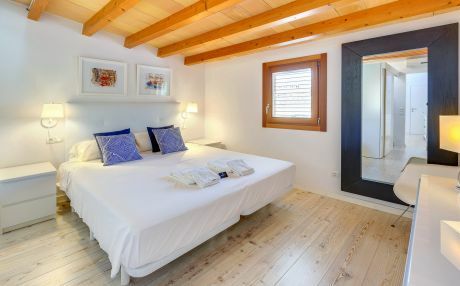 It is clear that the greatest attractions of Palma de Mallorca, throughout the whole island, are its beaches and coves bathed in crystal clear waters, but we also encourage you to visit its small villages. 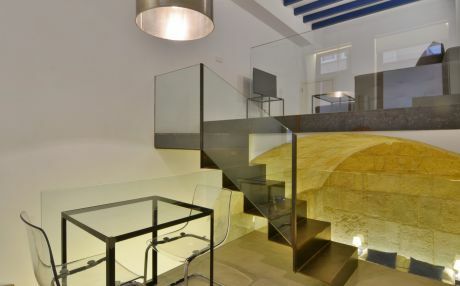 But if you spend your vacation in Palma de Mallorca, you will not only enjoy a holiday in the countryside but you can also do architectural tours, because Palma de Mallorca has a rich religious architecture. 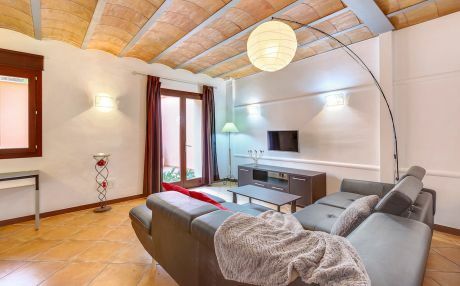 For example, the Gothic Cathedral of Palma de Mallorca dates back to the 14th-16th centuries and is definitely a must-see if you are staying in a holiday rental apartment in Palma de Mallorca. To enjoy your nights, Palma de Mallorca has a large number of pubs and bars scattered throughout the city where you will find a great atmosphere. One of the most popular nightlife areas is the promenade of Palma, where the offer is huge and it’s full of people who want to enjoy the night. Other options are the different tourist areas, where Magaluf is one of the liveliest. 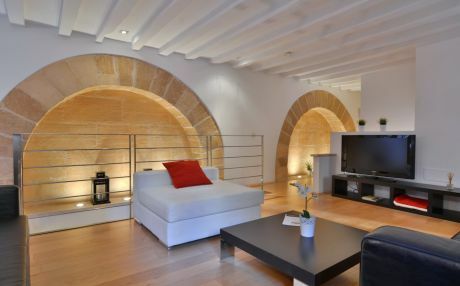 We have rental apartments in all areas of Palma de Mallorca so that you find the one that best suits your vacation needs. The gastronomy of Palma de Mallorca is mostly based on the Mediterranean cuisine and especially on fresh fish, seafood and vegetables. The excellent production of virgin olive oil, almonds and wines is a world-famous feature of this place. If you like gastronomic tourism, you should know that if you are staying in an apartment, chalet or villa in Palma, in Mallorca you will find 7 restaurants with a Michelin star. It is not strange that there is a huge culinary tradition on the island. In almost all the beaches you will find chiringuitos where to eat or drink something. There is no better way to finish a fantastic day at the beach than by having a Sangria and eating a paella right in front of the sea before going back to rest in your cozy holiday apartment. The city of Palma de Mallorca features a beautiful architecture which contrasts with the blue of the sea and the sky. 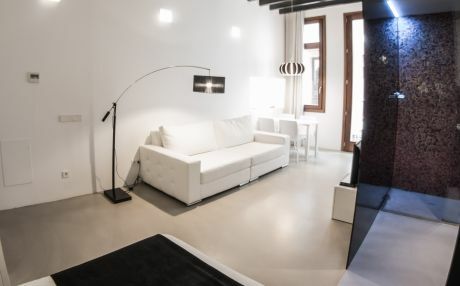 If you stay in one of our rental apartments in Palma de Mallorca, you will love its beautiful old town, where you will find endless narrow alleys and a multitude of stores of all sizes, bars, cafes and restaurants, as well as museums such as Es Baluard and art galleries. 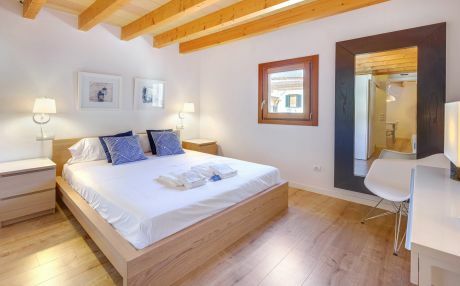 Palma de Mallorca is a great choice if you are traveling with children to spend the holidays. In summer, one of the most common things families do while staying in a rental apartment in Palma de Mallorca is discovering a different beach every day. In Palma city, you will find Cala Mayor and Playa Central, but we recommend renting a car or going by public transport to discover all the beaches on the island. You can even rent a small boat to go from cove to cove. In addition, there are excursions that will delight children, such as Cueva del Drach, the Sóller railway, which is a train route that connects the towns of Sóller and Palma, Castillo de Bellver, one of the few circular castles of Europe, or a guided tour of Cuevas dels Hams, a system of caves below the island whose subterranean labyrinth is a torrent of lights, colors and rocky shapes that are strange and wonderful. You can also discover its natural features by doing multiple water sports and hiking, cycling, horse riding or taking organized family friendly excursions, such as doing a tour in "Els illots" Cabrera and Dragonera. While staying in a holiday apartment in Palma de Mallorca you can enjoy spectacular landscapes, visit its endless beaches and coves. Palma de Mallorca has an efficient public transport network. Son San Juan Airport is 8 kilometers from the city of Palma. The most popular way to get around the city are the city buses that pass frequently, so you will not have a hard time getting to your apartment in Palma de Mallorca. Alternatively, you can arrive by boat to Palma de Mallorca in any of its departures from Barcelona and Valencia. 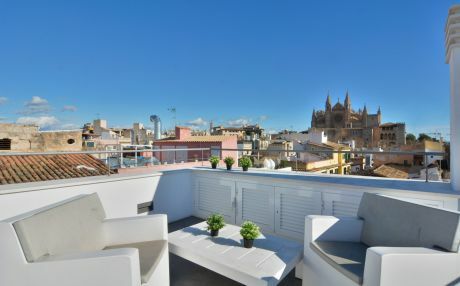 There are many reasons why tourists decide to rent an apartment, house or villa in Palma de Mallorca, because this multifaceted city has a wide family tourism offer, featuring amazing apartments, chalets and rental houses with pool, which are recommended if you want to enjoy total freedom in your vacations while getting rid of time schedules. 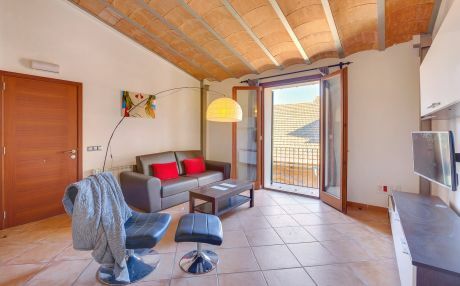 We cannot forget to mention that if you rent an apartment, house or villa in Palma de Mallorca, you will save a lot of money, especially if you want to travel with a group of friends or with your couple. 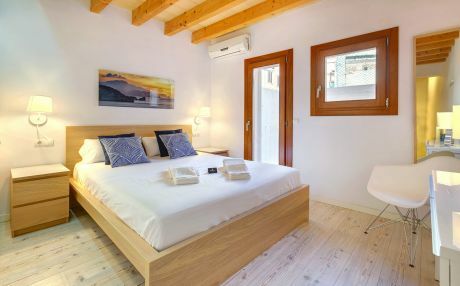 There is also a great offer of rental houses or apartments with communal pool as well as beautiful villas with private pool, so you will surely find the perfect holiday rental accommodation in Palma de Mallorca.